You look after everyone; you’d think they’d return the favor once in a while. But whether it’s about time, money or just the chance to relax and have a little fun, it seems you’re last on the list. Every list. Other people seem to be getting what they want from their lives – so why not you? To answer that question, you’ll need to learn what stops you from setting good boundaries and sticking to them. It may seem like a mystery now, but it doesn’t have to stay that way. Read more about What About Me? Do you say yes when you really want to say no? Do you wish you could find the words to set that perfectly reasonable boundary without feeling awful? Do you struggle with people who ignore your boundaries – or imply that you don’t have the right to them? When it’s time to stand up for yourself, do words seem to escape you? Setting boundaries isn’t easy. 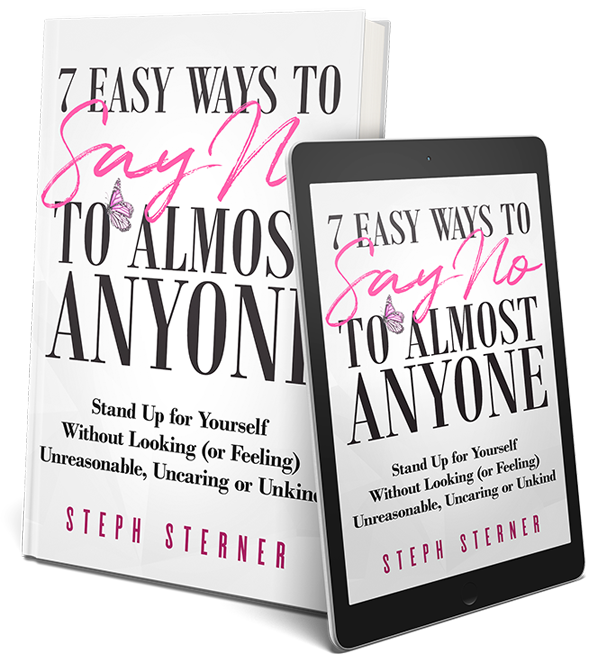 In this simple, practical guide, Steph reveals seven strategies for handling difficult people. Not only does she clarify the concepts behind each of these strategies, she provides practical examples of how to set boundaries in various situations. After reading the book, you’ll be in position to express your limits simply and clearly and stick to them. Read more about 7 Easy Ways to Say NO to Almost Anyone. Boundaries can be a real challenge. Do we drop what we’re doing to help a friend or leave her to sort out the mess she created? Do we do other people’s work for them or hold them accountable? How do we go about setting boundaries that respect not only our relationships, but ourselves? There are no easy answers – but there are some principles that can help you to make the right choices. 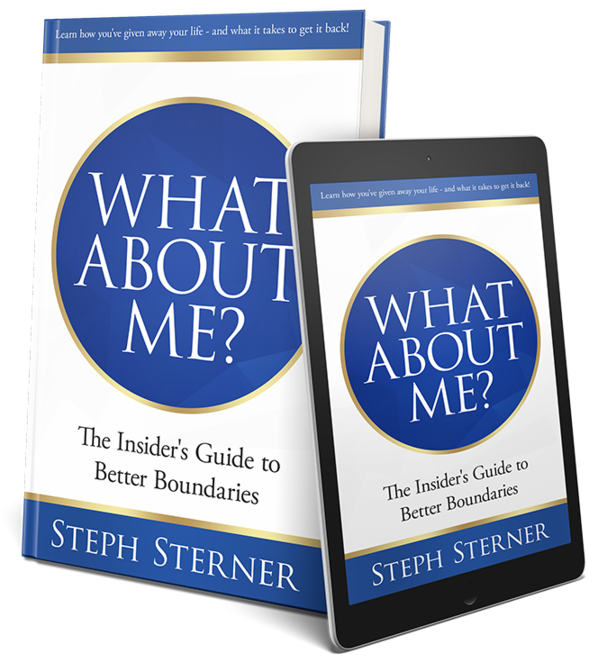 Rather than tell you what boundaries to set, this book shows you what’s really going on in some of life’s most difficult moments. There are principles and guidelines that can help you to make the decisions that are right for you: decisions that both support your values and beliefs and take reality into account. Once you see through the games – and understand what’s going on in yourself as well – you can feel confident choosing the boundaries that are right for you. 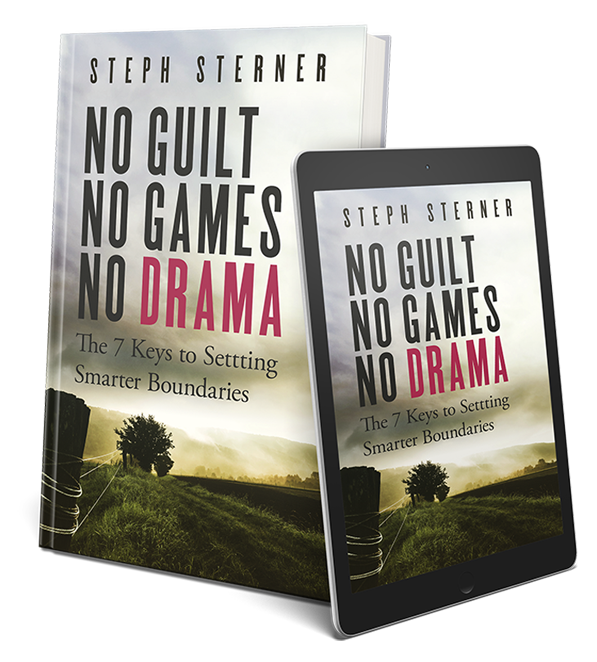 Read more about No Guilt, No Games, No Drama.